Review: The One by John Marrs. I was super excited to read The One by John Marrs, I had responded to a request on social media by John for someone to help him with some research for this book. I wanted to see what had ended up in the book but also to see my name in the acknowledgements. Very exciting. I had also heard loads of good things about The One from everyone who had read it. It was quickly bumped up my tbr pile, and boy I’m so glad that it was as I absolutely loved it. It isn’t often that I want to give a book more than 5 stars, but this book is one of them! I just loved reading this book, from the very start to finish it was enjoyable to read and interesting and thought provoking. The story is told from the point of view of a decent number of characters, alternating with each chapter. At first, I found it difficult as I’m not very good at remembering character names when there are so many being introduced but I soon got into it and sucked into the story. The premise is great, a quick and simple DNA test that will tell you, assuming that they have also been tested, The One, your soulmate and the person that sparks will fly when you meet. It sounds good, doesn’t it? But of course nothing is that simple. Often when a book follows different people like this some of the stories are better than others, but in this case I found every character and storyline enjoyable, interesting and intriguing. Sure, I had my favourite, but they were all good and well told. The author has done a great job weaving the story together and it really was a joy to read. I started off pretty sure that I would take the DNA test, but now I’m not so sure! And who knows, maybe one day such a test will exist. Actually, that is really quite a scary thought. 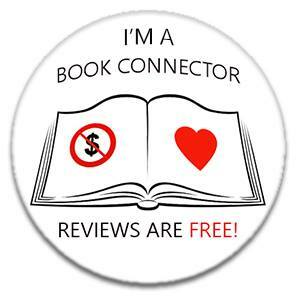 I received a copy of The One by John Marrs from Netgalley but was under no obligation to provide a review. All thoughts are my own. The One by John Marrs is out now and available from Amazon UK and Amazon US. Review: Silent Child by Sarah A Denzil. Silent Child by Sarah A Denzil. I have to say that I was very intrigued by the blurb of this book. The idea that your six year old son goes missing, assumed drowned, but then returns from the dead ten years later only a few miles from home, his body telling a horrific story of what he had been through during the last ten years, but his voice appears to have gone, he does not utter a single word, he cannot tell you where he has been or who had taken him. Emma is the mother of Aiden, the boy who went missing, during the last ten years she has been to hell and back. Her life fell apart but she managed to put herself back together with the help of Jake, her new husband and father to the baby that is growing in her belly. While Emma is overjoyed that Aiden has been found and is back home she is wracked with guilt and suspicion, as Aiden was found so close to home she suspects almost everyone she knows in the small village that she lives in, did they take Aiden? I thoroughly enjoyed reading Silent Child, it’s a great book and will no doubt keep you guessing right to the end. I did feel that the book lost its way a bit in the middle, there was a good chunk where the book pretty much went round in circles, but once it got going again the book did not disappoint. I read a lot of books, it is easy for me to finish a book and move on to the next one, but this book has stayed with me. I have spent a fair amount of time thinking about Emma, but mainly about Aiden, somehow he got under my skin and a little bit of him has stayed there. He feels very real somehow. Thank you to TBC for a copy of Silent Child by Sarah A Denzil. Silent Child by Sarah A Denzil is out now and available from Amazon UK and Amazon US.